Searchable using the keyword search. For prior Catalogs click link to access Archived Catalogs . Need help with Navigating the Catalog? Please review the Catalog User Guide for assistance. The Catalog is published annually and constitutes the official document of the University, although the information therein is subject to change at any time by official action of the University of Michigan-Flint. In the event such an action is taken, students affected will be advised by their units of the options available to them to complete their degrees. Every reasonable effort will be made to permit students to complete these programs or similar programs. Changes made to program and degree requirements, including general education requirements become effective the fall semester following approval and apply to all students admitted to the University that term and thereafter. Students must satisfy degree requirements in effect at the time of their admission to the University of Michigan-Flint. 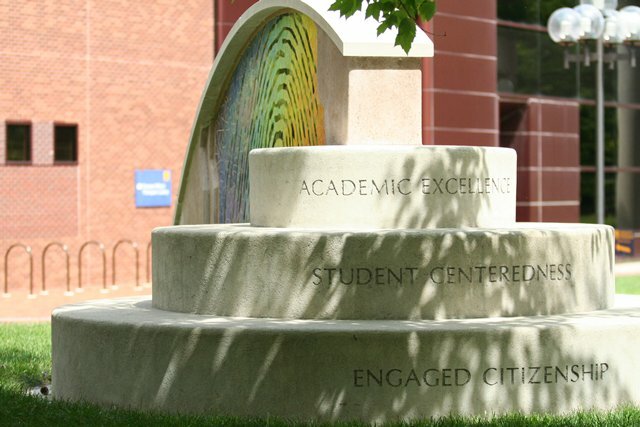 Students who select a major or minor offered in a catalog subsequent to their original admission at the University of Michigan-Flint must follow the catalog in effect at the time the new major or minor is offered. Students may choose to use newer catalogs, but not older catalogs. Students who do not attend for one calendar year, must be readmitted to the university through the Admissions Office and must satisfy degree and program requirements in effect at the time of their readmission. The University of Michigan-Flint Catalog is issued annually.